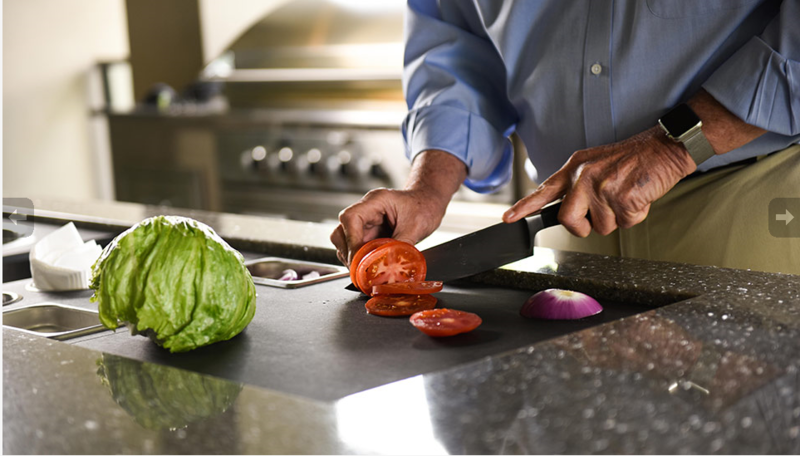 The Galley is hand crafted, highly engineered and made in the USA. 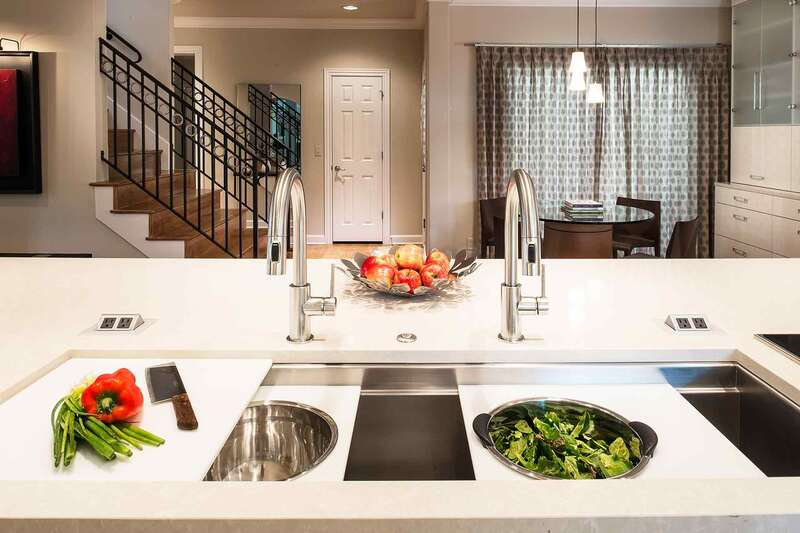 It was invented by an award-winning kitchen designer whose vision was to create a central workstation where every task in his kitchen could be accomplished. 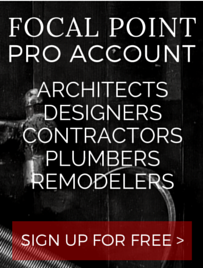 Focal Point is proud to be one of the only displaying showroom and official dealers of this luxury brand in Brooklyn. 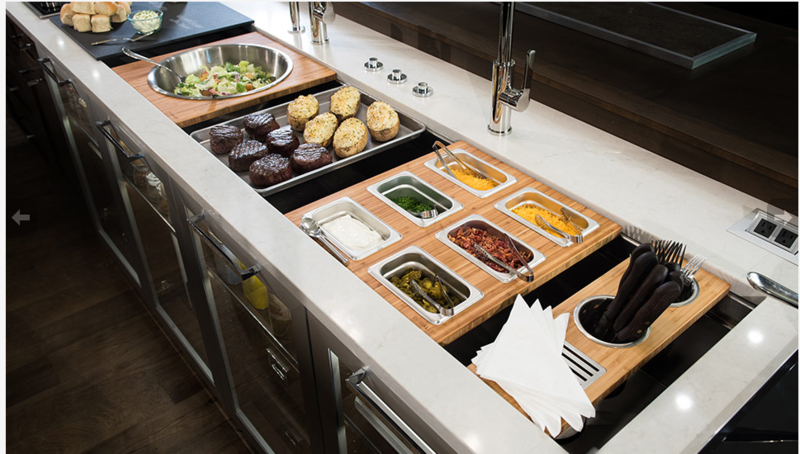 Call our showroom at 718-336-6900 and ask to speak to one of our Galley experts to learn more! 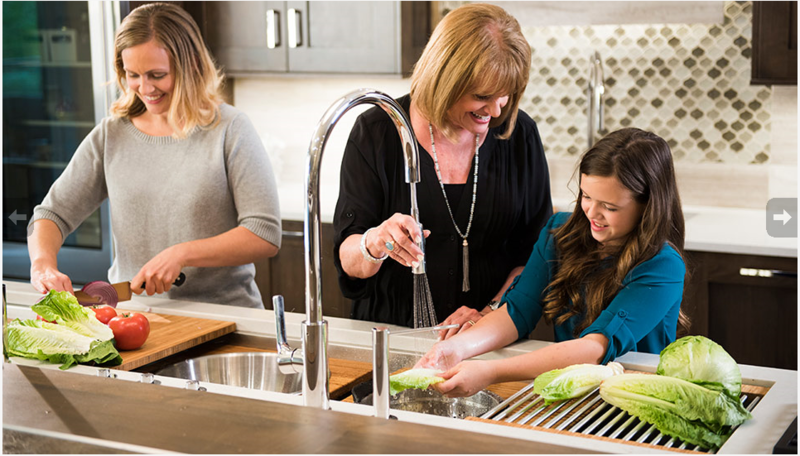 Wouldn’t it be nice if your kitchen sink was more than just a sink? 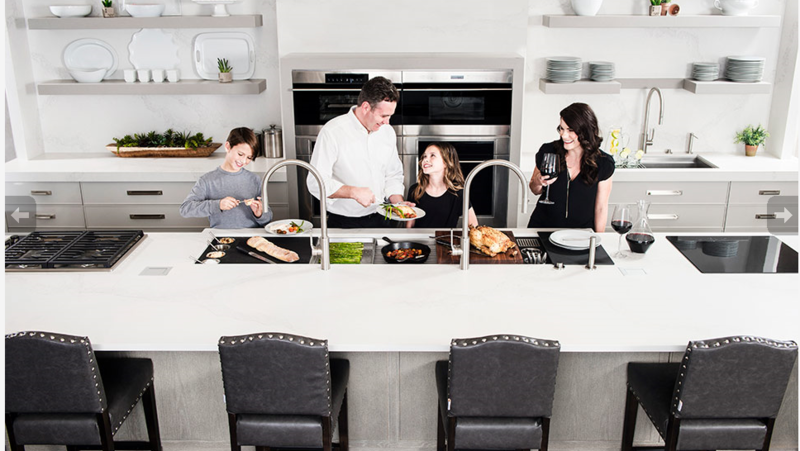 The Galley ideal workstation is super-functional, smart and stylish workstation where you could prepare, serve, entertain, and clean up all in one convenient place. This workstation is available in 6 lengths. You can choose between a single or a double bowl. 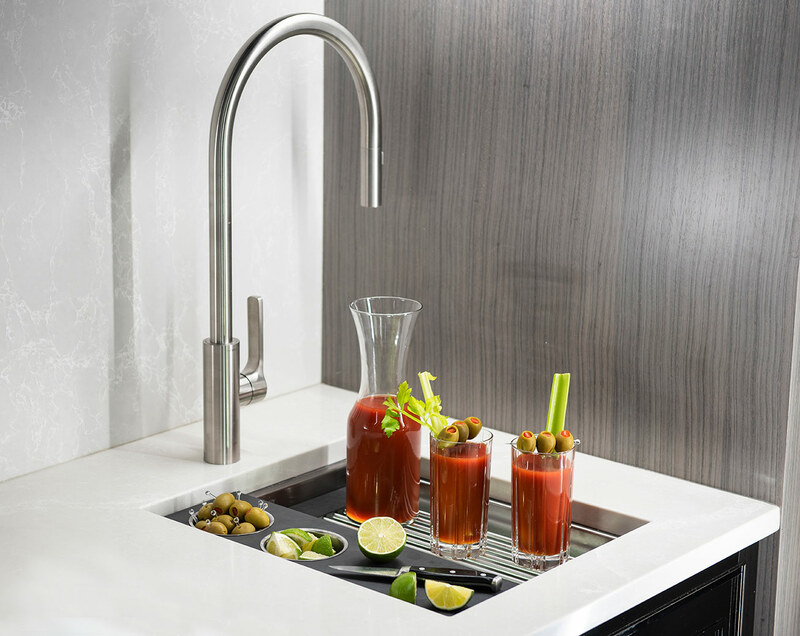 The sink comes in 4,5,6 and 7 foot lengths but is also available in a 2 or 3 foot model and even a smaller bar model. 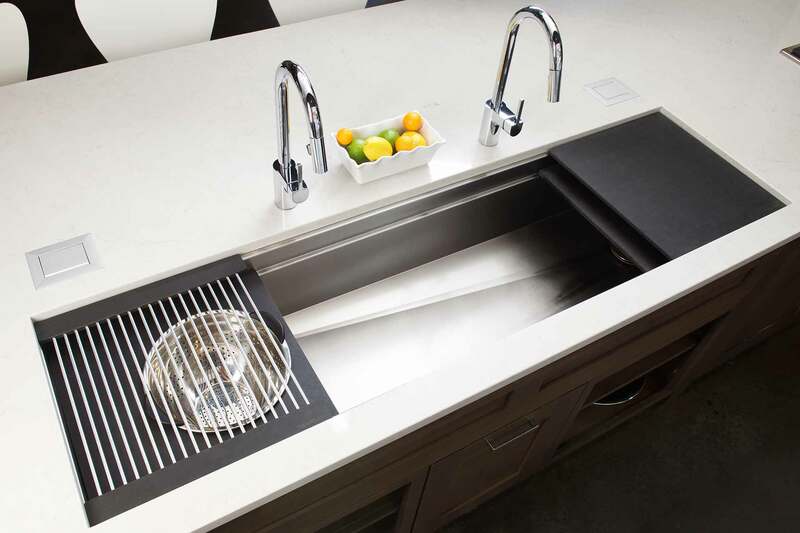 The bowl is made of 16 gauge stainless steel so this superior sink will outperform and outlast its competitors. 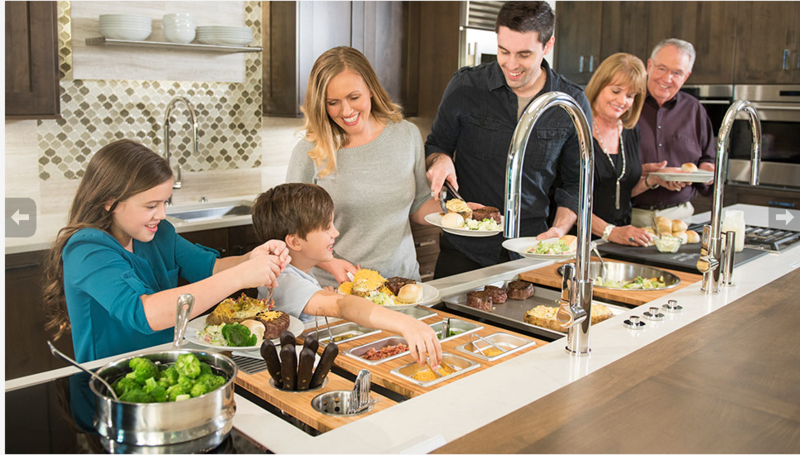 The Galley workstation is ideal for entertaining indoor and outdoor parties and dinners. 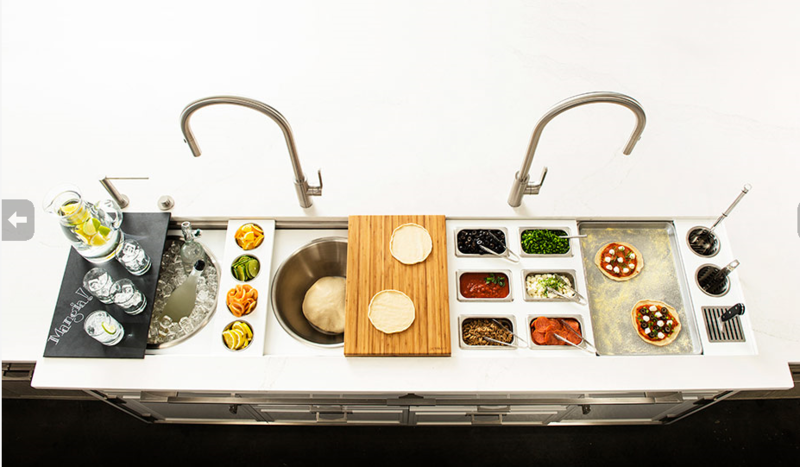 It gets better: The Galley offers a wide array of accessories to go along with their sinks. From the classic bottom grids to the out of the box butcher blocks, cutlery or condiment storage units and even colanders. 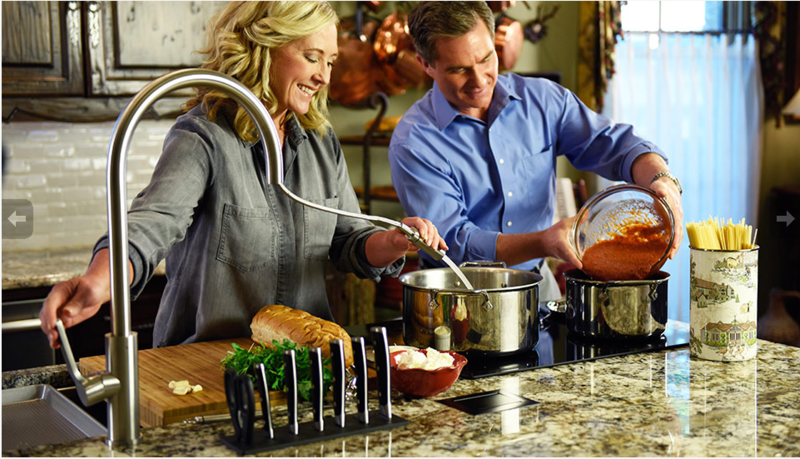 The accessories allow the user to prepare an entire meal, starting from washing and cutting the vegetables ending in washing and letting the knives drip dry. 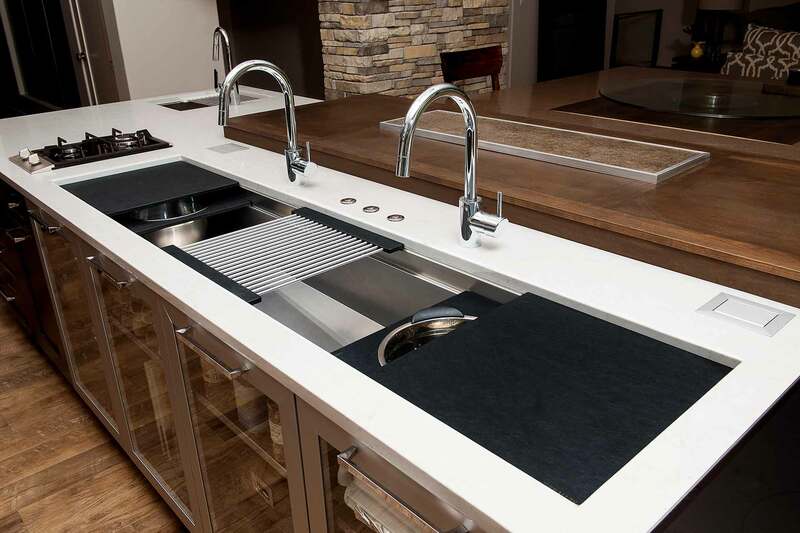 Once you are done, you can cover the sink with the counter covers to get full and extended use of your counter top. This Galley tap is state of the art. It is perfectly engineered and simply beautiful. It functions in an indoor and outdoor setting and is accompanied by a chic soap dispenser and a deck switch which comes in your choice of 6 stainless steel finishes. Polished, matte, gun metal gray, satin black, brushed gold, and rose gold. They offer PVD (Physical Vapor Deposition) on some of their finishes to ensure longevity of their product especially for outdoor use. 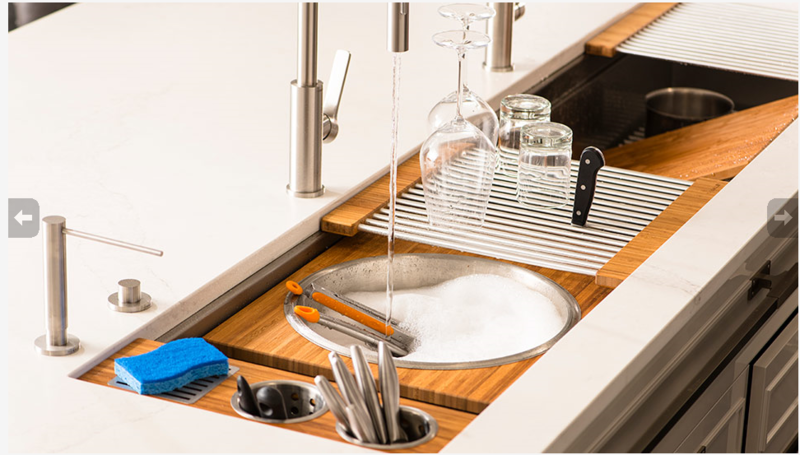 The Galley Sink and faucet are a beautiful and practical addition to your kitchen.